1. Junior Officer: 14 Nos. 2. Junior Assistant: 60 Nos. > For applying in the post of Junior Officer, the age of applicants should be 21 years completed but not exceeding 35 years on the last date of application submission i.e. 2075-02-15. > The age bar for applicants for the position of Junior Assistant should be 18 years completed but not exceeding 35 years. In terms of female candidates, the age bar for both positions is not exceeding 40 years. > For Junior Officer: Written examination, presentation, Group Discussion and interview. 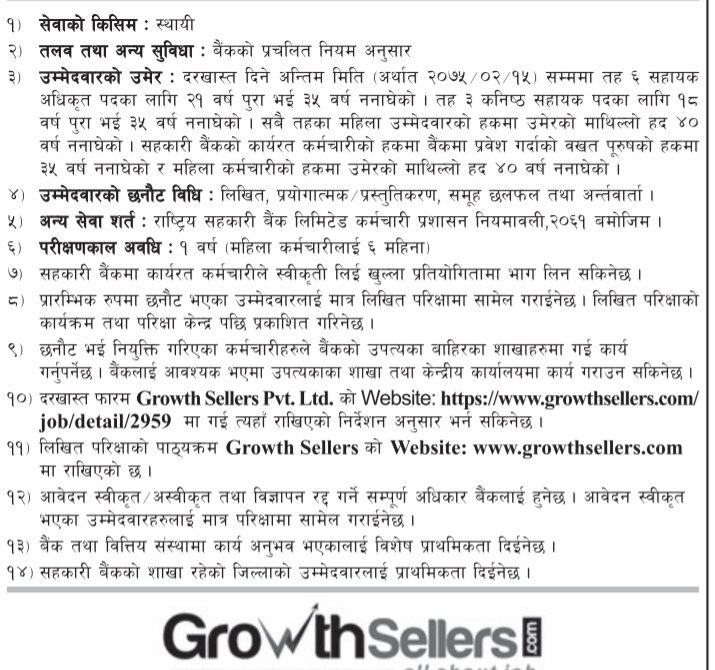 > For Junior Assistant: Written Examination and Interview. 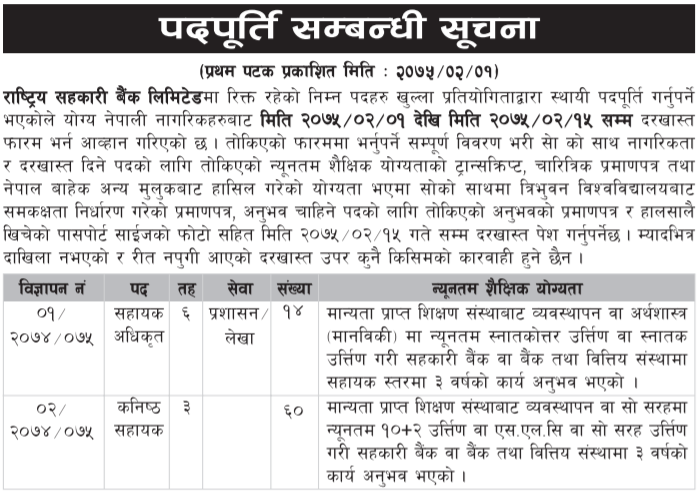 Provision period:1 year for male candidate and 6 months for female candidate. > Master’s degree in management or economics(Arts) or bachelors degree with minimum 3 years of experience in co-operative bank or bank & financial institution. > Minimum intermediate or SLC pass with 3 years of experience in co-operative bank or bank & financial institution.